Properly transferring your real property into a living trust ensures your desires upon death are upheld. Many people fail to file the proper deeds after establishing the trust. When this happens, the property is still subject to probate court and costs. Ultimately, the property may not go to the desired beneficiary. 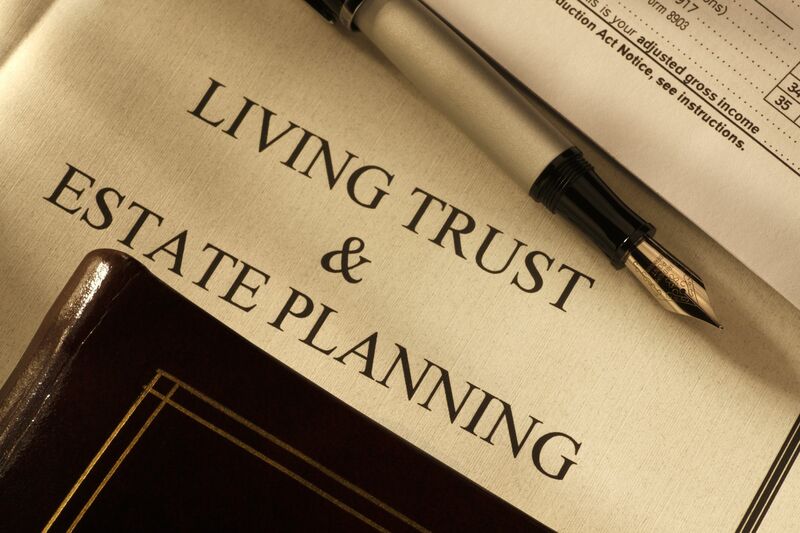 A California revocable living trust gives a person control of the trust assets while alive but establishes the parameters of transfer to beneficiaries after death. A trust is a unilateral contract between the grantor who owns the assets and the beneficiary receiving the assets. It is managed by a trustee. Revocable means it can be withdrawn at any time by the trustee during the grantor’s life. As such, the grantor and trustee are often the same person in a revocable living trust. Trusts allow assets to pass to beneficiaries avoiding the entire probate process as long as the trust is properly created, funded and executed. Real estate property must be properly listed on the schedule of assets including the address, assessor’s parcel number and legal description of the property. The name on the title should match exactly the name of the grantor. Discrepancies open the door for someone to contest the trust. Trusts are often created by attorneys, but this isn’t required. As long as the elements are described, and the document is dated and notarized with original signatures, it is a legal trust. Many grantors make the mistake of never funding the trust. They think that the schedule of assets is the only thing necessary for the successor trustee to execute their wishes. This is wrong. All accounts must be renamed with the owner becoming the trust. California law allows the use of three different types of deeds to convey title to real estate. A grant deed is the middle-level deed because it includes more guarantees of title than a quitclaim deed but few guarantees than a warranty deed. The grant deed is also sometimes known as the special warranty deed. Like a quitclaim or warranty deed, the main purpose of the grant deed is to transfer property title from one person to another, such as from a seller to a buyer. A grant deed is written evidence that you actually own your property. Additionally, the grant deed provides title guarantees to the new owner. To be legally effective, a grant deed must include certain basic information, including the name of the new owner, the signature of the person conveying title and a legal description of the property being conveyed by the deed. The person conveying title is the grantor, and the new owner is the grantee. In California, grant deeds are filed at the county assessor’s office with a Preliminary Change of Ownership Request, applicable fees and a Tax Affidavit. All must be notarized for legal transfer and recording. The grant deed includes a significant title guarantee. Basically, the grantor under the grant deed guarantees to the grantee that the grantor has not transferred her title to anybody else first. So, if the new owner later discovers that two weeks before the grantor provided the grant deed, the grantor actually sold the title to a third party, the new owner can sue the grantor under this title guarantee to recover the value of the property. A grant deed can include exceptions to the title guarantee. The grant deed may, for example, identify an easement running across the property. Any exception listed in the grant deed will not be covered by the title guarantee, so the new owner takes title subject to those listed exceptions. A grant deed is better than a quitclaim deed because when a grantor provides a quitclaim deed you have no guarantee that an hour earlier the grantor did not give title to somebody else. However, the grant deed is not as good as a warranty deed because a warranty deed guarantees that the grantor actually has good, marketable title to the property, while the grant deed just guarantees that the grantor has not personally done anything to affect the title of the property. However, because most property owners purchase a title insurance policy, the significance of using one type of deed over any other has diminished. Most owners will sue under the title insurance policy even if they have a warranty or grant deed from the grantor.